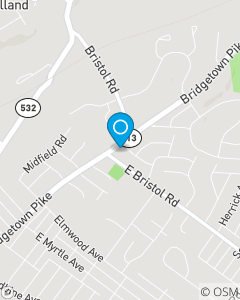 Between the intersection of Bristol Road and the intersection of Old Bristol Raod. Our mission is to be our customer's first choice in the products and services we provide, such as Auto Insurance, Life Insurance, Homeowner Insurance, Renters Insurance, and Business Insurance. Our customers' needs determine our path. Our values guide us. We service customers in Bucks County, including Trevose, Holland, Churchville, Langhorne, Southampton, Newtown, and Warminster, among other local communities. Call our trusted team for a quote!